Since its inception it has been the direction of GSLMA to help maintain, and upgrade the flying fields, runways, and shelter, and all other necessary facilities and amenities of Buder Park and to promote the hobby of all categories of model aviation flying. All subsequent aeronautical education and activities, are done in cooperation with the St Louis County Parks Department, as its one sole onsite liaison. The authority of GSLMA (with its own set of bi-laws), was established through the Directors of the St. Louis County Parks Department, and Gslma remains the sole voice of authority between the public and St Louis County Parks, in all matters of model aviation at Lydia Buder Park. The annually elected board of GSLMA comes from volunteer (non paid) personal from within the realm of the many active flying clubs that utilize the flying facilities. All work done by the GSLMA board and its club members for Buder Park, is also done on a non paid, volunteer basis. No elected board member or club representative profits from the service to the board or the park beyond that of the greater good of having one of the very few premier public flying areas in the entire country to fly. Private flying clubs can be very expensive and many clubs set hours of necessary assigned work at their respected fields to each member to maintain their membership. The required GSLMA permit for Buder Park has been set at only $30.00 per year, and St Louis County Parks Department exclusively cuts all the grass and provides labor for major projects. Every elected GSLMA board member and their club representative are required to pay the same $30 annual flying fee as others do as well. There are no exceptions or exemptions. All current AMA insurance cards, FAA registration cards and Buder Park permits issued by GSLMA are to be in the pilots possession and shown upon any request. All non-current card holders will not be permitted to fly until such time as their personal permit becomes current and valid again. Any and all all flyers are responsible to ask for proof of current membership and all permit violations are enforced by the St Louis County Park Rangers division, and violators are subject to fine and expulsion from flying at this facility . The educational arm of GSLMA brings knowledge of aviation to the general public through daily flying at the park, and regular contests and scheduled flying events. GSLMA though its members and clubs then comes into direct contact with organizations such as school children, youth groups, church organizations, scouting programs, and other worthwhile entities who are wanting and willing to learn about aviation and its ongoing cutting edge technology. The finances for the operation of the GSLMA organization does not come from St Louis County, but its monies are solely raised through the issuing of annual required flying permits, special events, contests and fundraisers, and some are by private donations. All money raised is accounted for and used in short term operations, and long term projects that must be saved for annually to meet large major improvement expenses. A list of monthly expenditures is listed at each monthly meeting and are duly recorded on the meeting minutes of the following month. An example of GSLMA’s monthly expenditures is the year round placement of the “Port-a-potty” provided at the radio control facility at the park. A long term project example would be the expenses of the installation materials of the fencing at the R/C area to protect the public from walking onto the field, or the recent resealing of the blacktop in the control line area and taxiways. The new addition of the quadcopter “drone flying” area at the park, brings the latest adaptation to an ever changing flying hobby in which GSLMA supports wholeheartedly. Subsequently emergency funds must be kept on hand for situations, assisting in the cleanup after natural disasters at the field such as the two five hundred year floods that devastated Buder Park twice in two years in December of 2014 and 17 months later in May of 2016. Water trucks with high pressure equipment were needed to be used to clear off mud from the runways and the speed circles areas and a large bobcat was used and very necessary to clear flood debris. GSLMA with its raised funds, fiances and provides the materials needed to maintain and upgrade the flying fields and pavilions. St Louis County provides the manual labor on projects such as in painting the shelters and cutting the large acreage of grass on site. The meetings of GSLMA are open to the public and dates are advertised on this website. Past meeting minutes for the last five calendar years are public records, and accessible to read online along with the treasures reports, that are posted in the monthly minutes here online as well. Special work days are scheduled each year to meet at the park and accomplish jobs needed on a volunteer basis, such as weed trimming around the runways walkways and taxi ways, and general cleaning to spruce up the area for efficiency and enjoyment. Other days are scheduled to do repairs on items like our flight line R/C aircraft stands. People from all backgrounds and skills pitch in do do their park for the betterment of the flying field. Some who are good at administrative duties join the GSLMA board and actively help in the day to day operations. Would you be a person who would join in with your skills or with your time and be a part of the solutions of the parks future? If you have any questions about the operation or organization of GSLMA, read the updated online material and then contact us by email. You may attend one of our monthly public meetings to express your concerns. however only registered club representatives may vote on the issues brought to the board in a timely manner. If you already belong to a flying club related to Buder Park, please contact your personal club representative listed on this website. 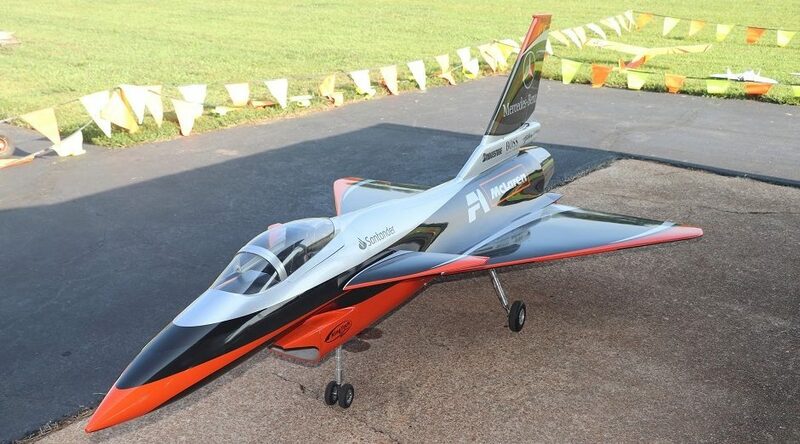 Thank you for your interest in model aviation at Buder Park, located in Valley Park Missouri.